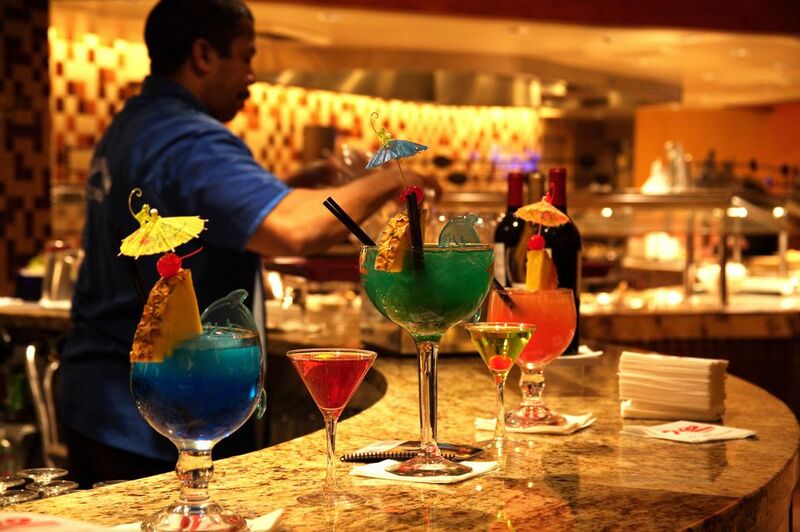 As you probably heard in the past, drinks are free in Las Vegas as long as you're dropping money into a machine or playing at one of the table games. People have even scored free drinks if they were watching someone else play or if they were just standing around in the Casino. Historically, the trick has been to tip well, at least for the first round. It sounds simple but if you sat at the 25 cent slot machines and you tipped the waitress $2, she'd return to offer you another drink. And, if you were winning, dropping a few more dollars would be expected. All it took to have your fill of adult beverages was to tip the waitresses who brought the free drinks by. The buzz along the Strip is that free drinks will be slowly phased out in the future. As the direction of amenities in Las Vegas resorts changes so will the policy with regards to comps. Parking is no longer free at most resorts and as of late the cost of parking in Las Vegas is actually on the rise. Las Vegas is not as cheap as it used to be. So it follows that free drinks will be next. Currently, some casino bars employ a system that gauges how much the customer is gambling in an effort to offer free drinks to those who are actually putting money into the slot machine or video poker machine. A light visible to the bartender lets them know if the player should be offered a free cocktail. Free drinks at the table games still exist and it's possible that that policy will be a little harder to change. Imagine stopping play just to allow someone to pay for a cocktail. While that may eventually happen it has not begun just yet. The best advice when sitting at a bar with video poker machines is to ask if your drinks are free when you are playing. Remember, the bartender is not getting rich making drinks for you so you need to tip. They will take care of you if you are taking care of them. Drinks are still cheap if you gamble. Hit the nightclubs and you'll be amazed at just how much they can charge you for alcohol. One place where you can drink up for a reasonable amount of money is by riding a "bar pod" on the world's largest observation wheel. They say, “30 minutes are all you need to get your money’s worth of drinking,” when you ride the High Roller Happy Half Hour Pod at LINQ Las Vegas. You buy a ticket, enjoy the views, and all you can drink during the ride is included in the price. You can also pay attention to the times that happy hours are offered and the two-for-one deals. If you are looking for a few more ways to save money here are some tips on saving money on food in Las Vegas.